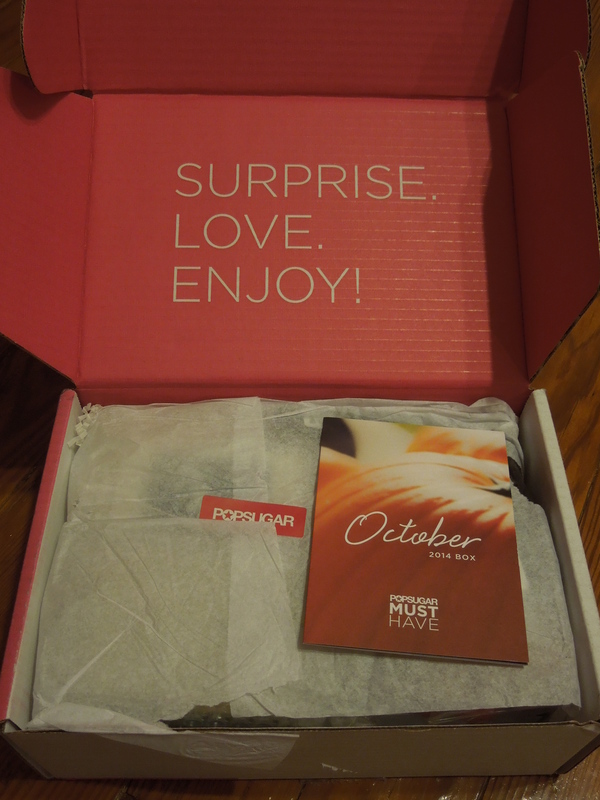 If you are Popsugar subscriber, you may already know why my October box review is so late. Popsugar updated their website, creating much chaos with billing and subscriptions. This resulted in many longtime subscribers getting our boxes super late. This lovely guy arrived on my doorstep on October 31st – just narrowly hitting that “October” deadline. Let’s see what my super late box included. 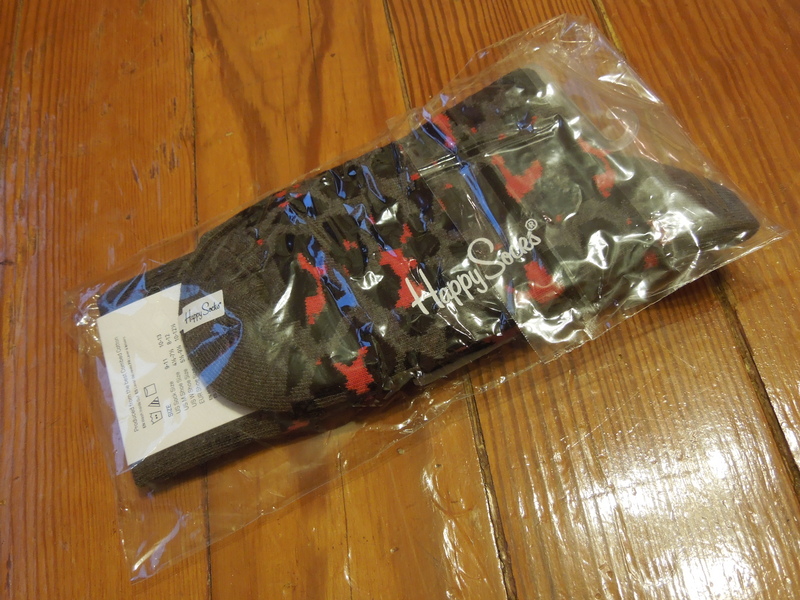 Socks with a fun print are always welcome in the Fall. This time of year I start analyzing my boxes for items that will be great Christmas gifts while simultaneously trying to quiet that voice that screams to keep all the pretties for myself. I’ve got someone in mind who I think these will work great for so this is going to the Christmas Gift Stash. 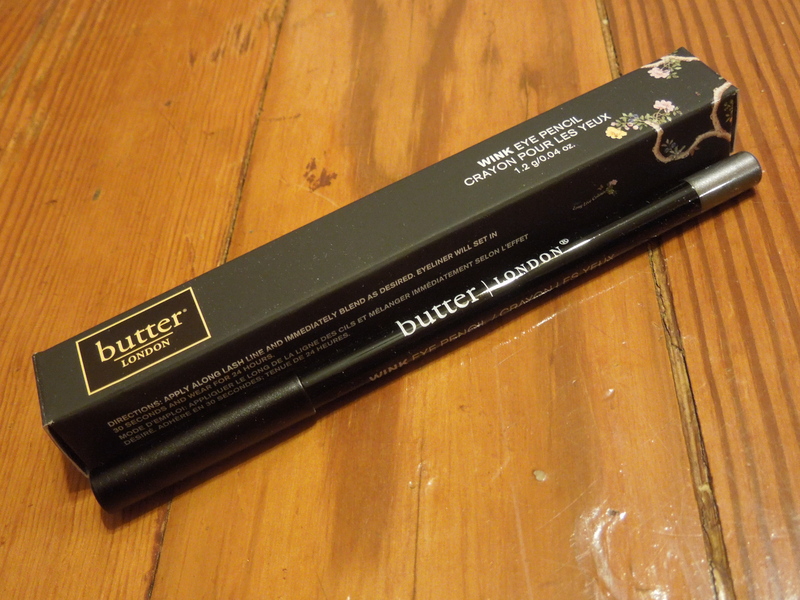 I’ve been wanting to try butter LONDON’s makeup for a long time, so I was happy to see their eyeliner included. 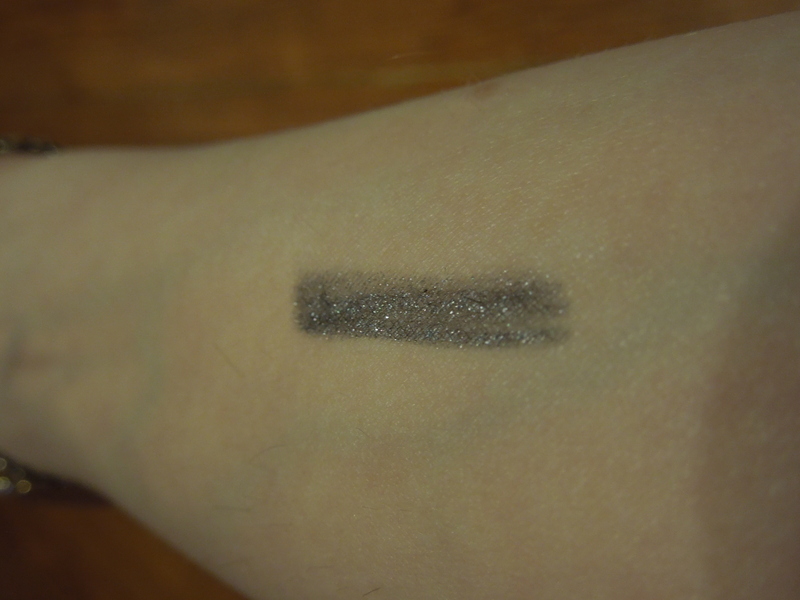 I got even more excited when I swatched it and discovered it was a beautiful shimmery smoky grey. I think this is a fabulous shade for the holidays. If you’re super pale like me, a lot of black liners are just too much of a contrast and can give you a sort of Walking Dead vibe. This is a great alternative when you want a dramatic eye but don’t want to look washed out. I’m not normally too excited for picture frames since I don’t have much space in my apartment and I already have plenty of frames, but I love the design of this. 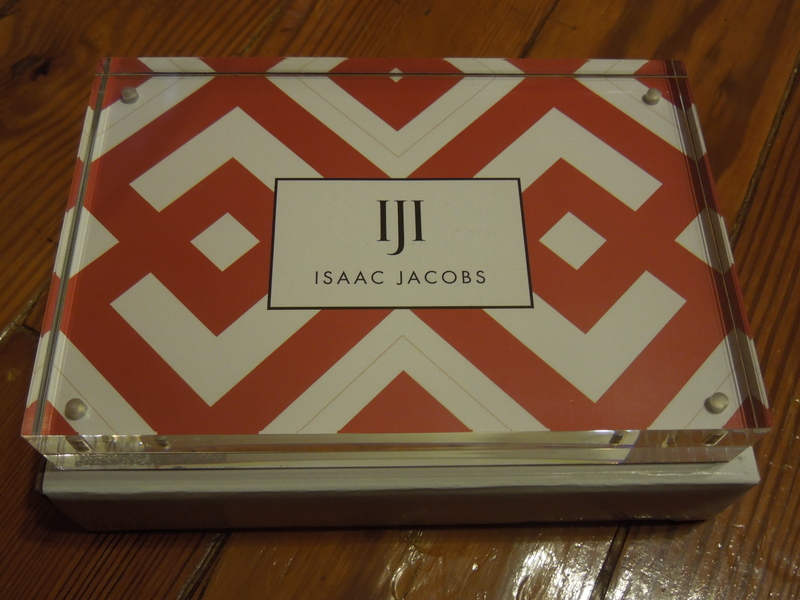 It’s an acrylic rectangle that is held together with magnets and keeps the picture encased inside. I’m going to be keeping this for myself and using it on my desk. I think it will look great with some cute quotes inside. Candles tend to go in my gift pile, just because lots of people I know love them, but this one is just too cute. This is another item I really want to keep for my desk. I can write stuff like “Keep writing, jackass” to remind me to get off Pinterest and work on my novels. 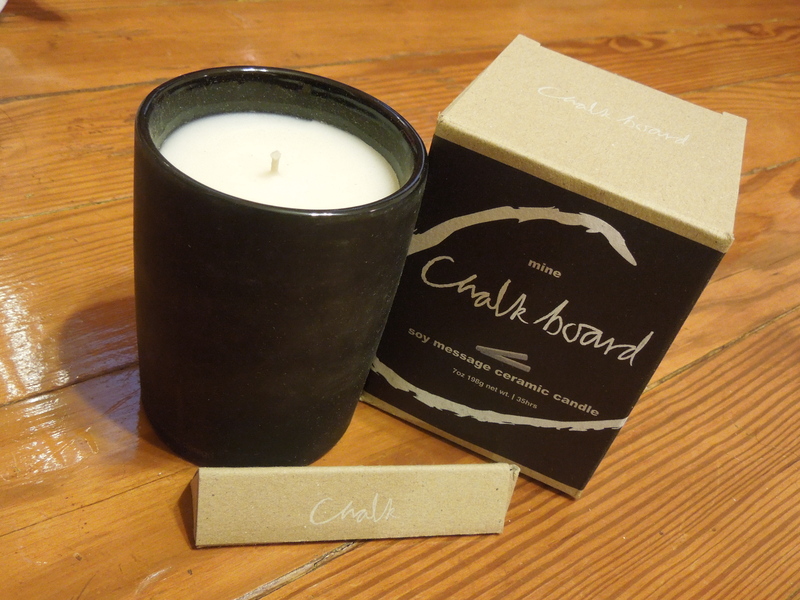 You can get all DIY with this and use chalkboard paint on your existing candles to get the same effect. I’m leaning toward hoarding this item for myself, but goodness may win out and it could end up in someone’s Xmas stocking. I like the idea of these and including a Fall flavored treat was smart, but I just didn’t care for the actual taste of them. 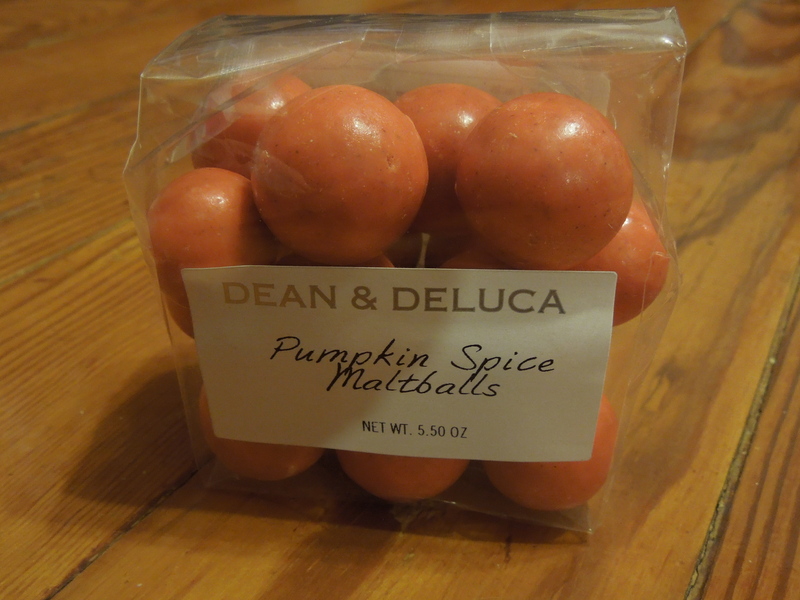 I love pumpkin flavored things and pumpkin spices but these just weren’t quite tasty enough for me. 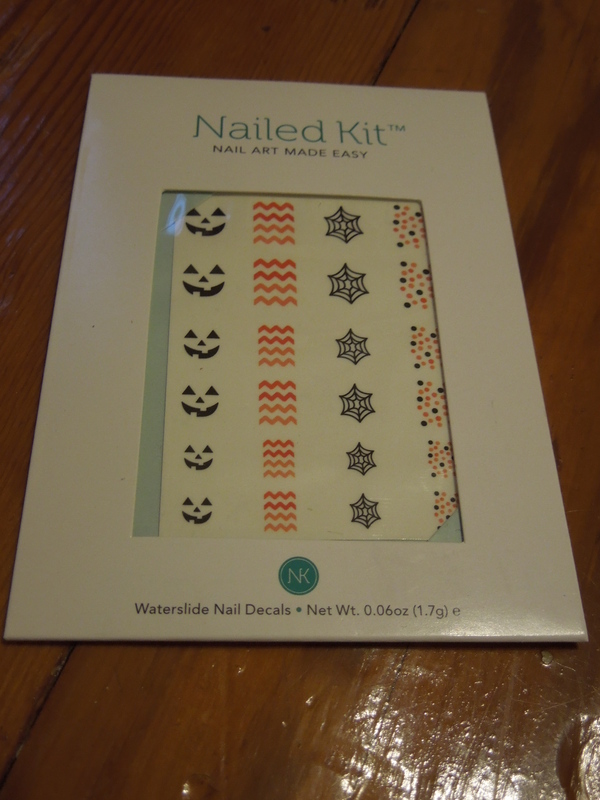 As you know I got my October box super late, so I didn’t have time to actually use these. It’s quite a shame because if I’d received them earlier in the month they would have been a hit. It’s also nice that they were designed especially for Popsugar. I’ve tucked them into my polish case and will pull them out next Halloween. 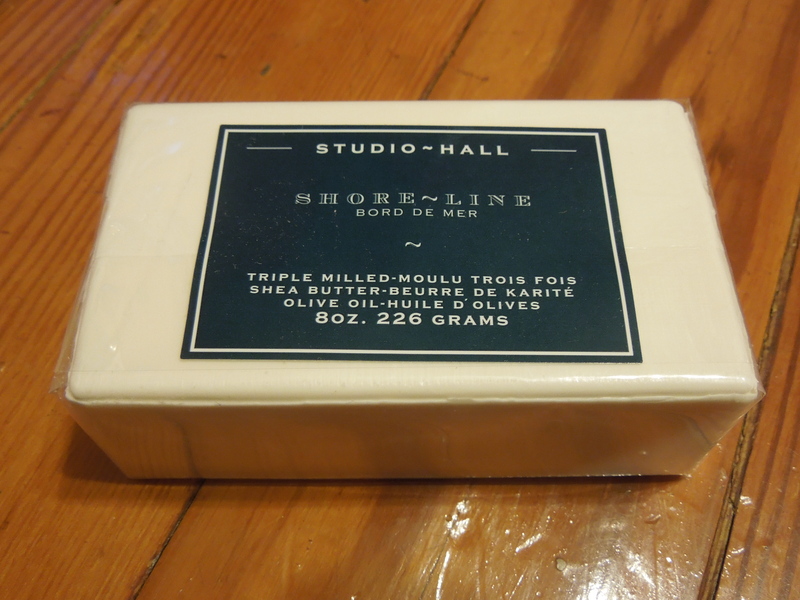 This is a really nice special extra and the soap gives off a fresh scent. I currently have a stack of soap bars to go through so I think I’ll add this as a little extra to someone’s Christmas Gift. This box cost me $42.75 and I received $113.75 worth of product along with a $40 coupon for The Blue Jean Bar’s Box. Except for the lackluster pumpkin balls, I really liked everything in the box. The only downside was that it came too late for me to utilize the Halloween item. Along with many other subscribers, I struggled this month with Popsugar and their customer service. I kept getting emails that I hadn’t updated my CC info, even though I had. I reached out to customer service about the continued emails and that my box hadn’t shipped yet and I received no replies. My box eventually showed up at the very last moment, but that’s just not an acceptable level of customer service. Based on Popsugar’s Facebook page, the customer service issues were not isolated incidents. Because of these customer service issues and an incredibly lackluster Neiman Marcus box (review coming very soon) I have not jumped on Popsugar’s latest offering of Limited Edition Holiday Boxes. I loved last year’s holiday box, but I’m not sure I’m willing to gamble $100 on Popsugar right now. I’m currently waiting for a spoiler in order to make up my mind. 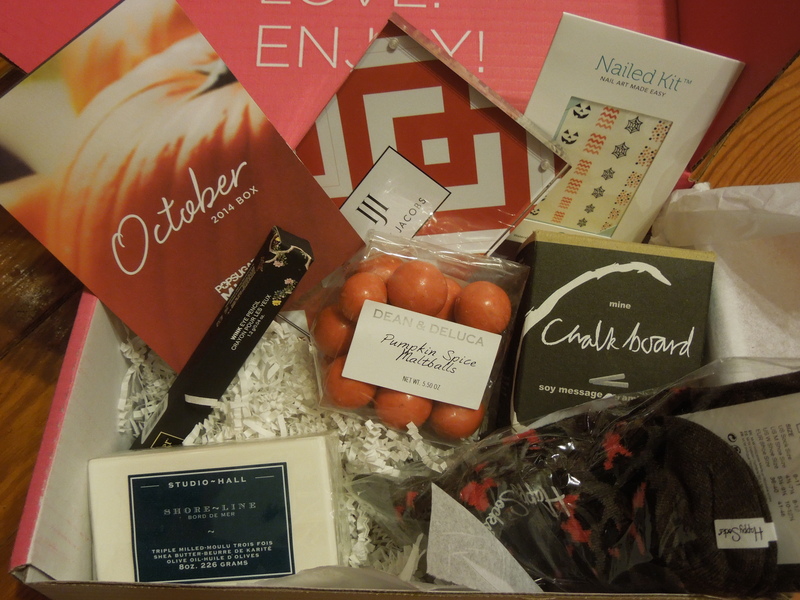 Did your October box arrive on time? 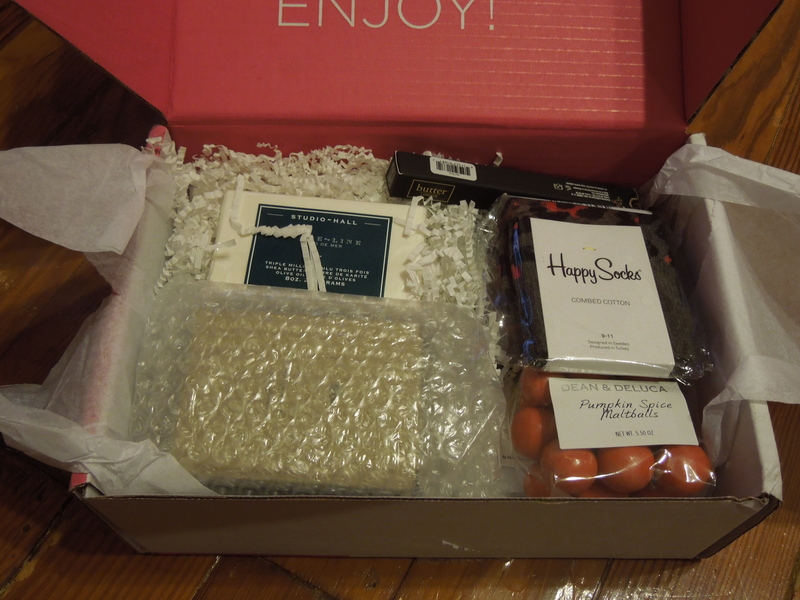 Are you considering the Popsugar Holiday LE boxes? I’m debating about this myself…I usually love getting the Pop Sugar LE boxes but after the Neiman Marcus box (which I luckily resisted, thhankfully), I’m losing hope in PSMH! hopefully they will post an amazing spoiler soon so I can justify getting it!! 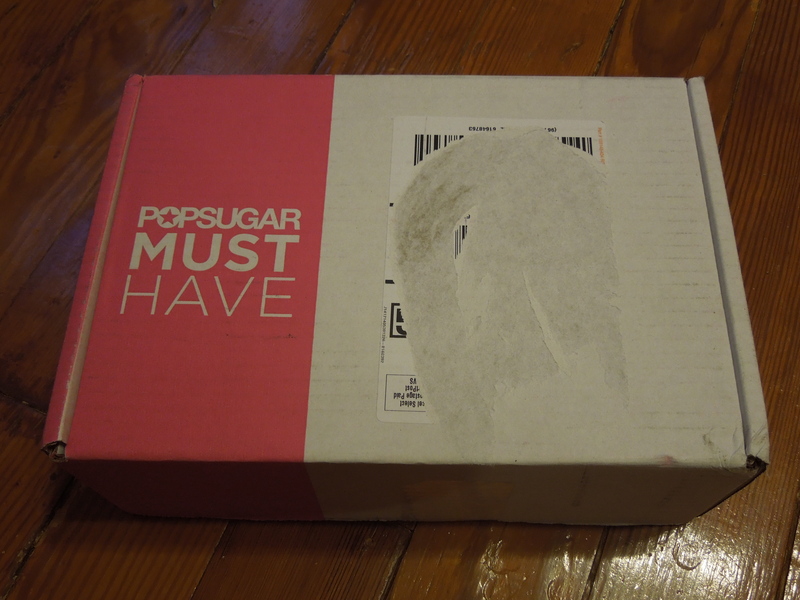 I’ve loved Popsugar and gotten every LE box since I joined (Fall of last year), so it’s a big deal that I haven’t jumped on the box yet. Personally I think Popsugar needs to offer some coupon codes for their *existing* customers as an apology for all the customer service issues they’ve been facing including the Neiman Marcus discount debacle.